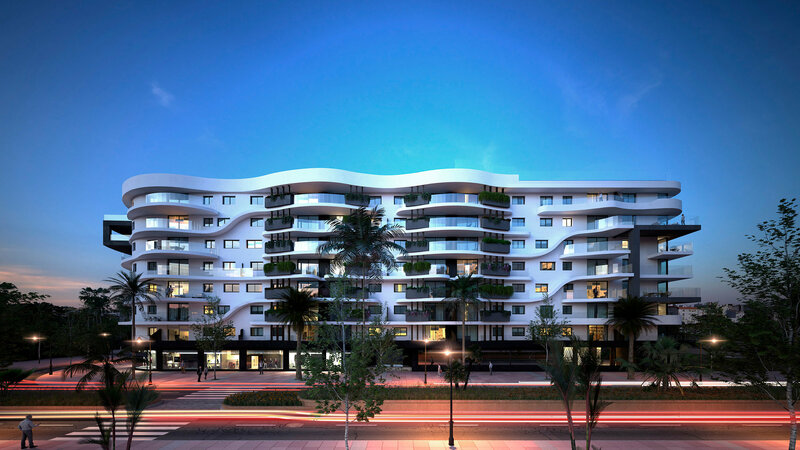 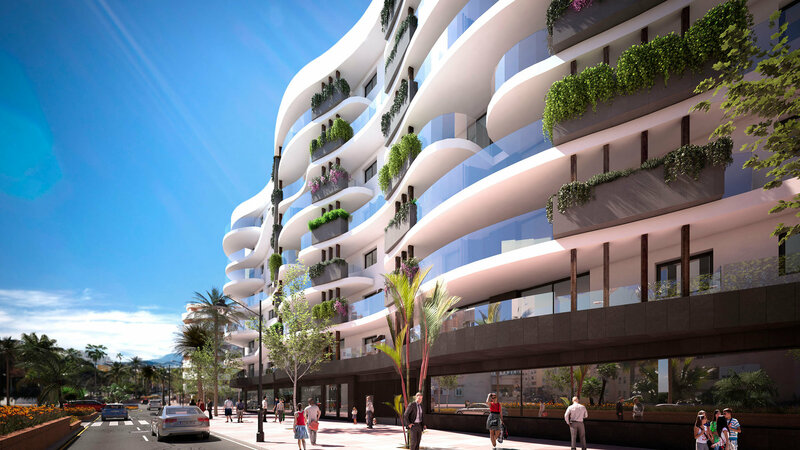 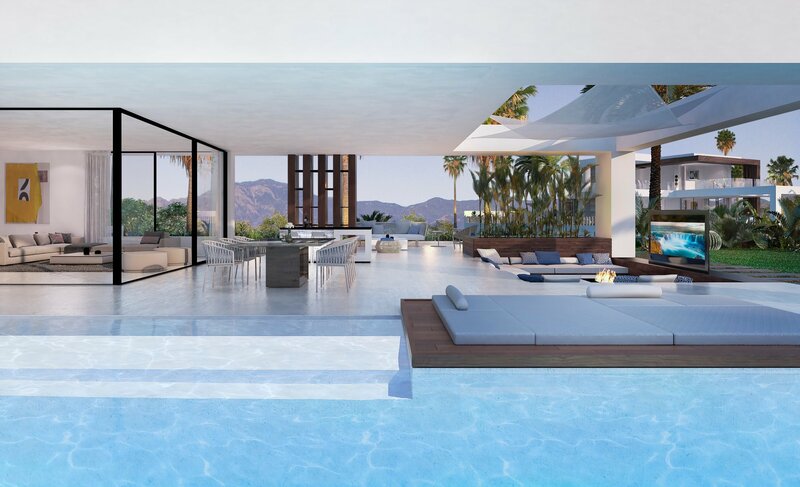 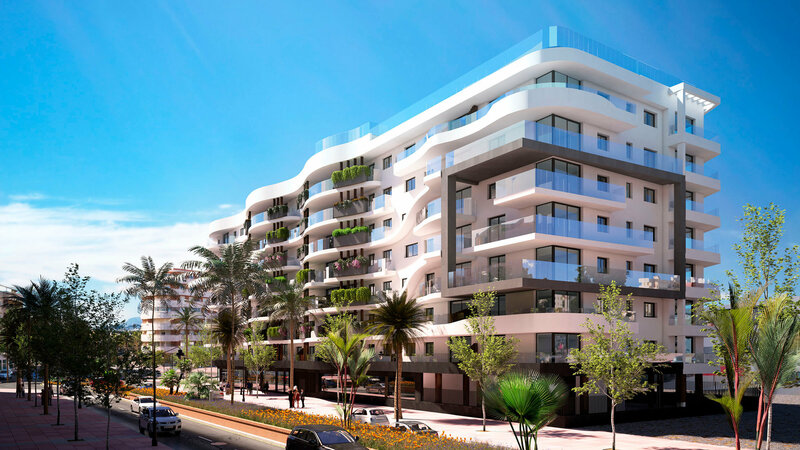 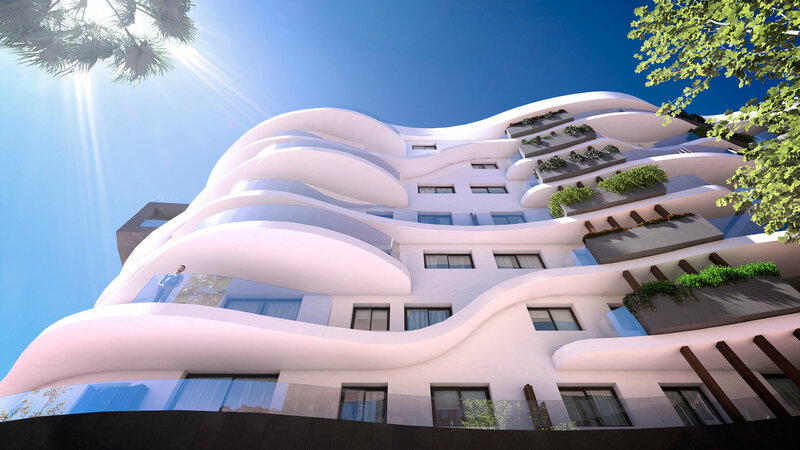 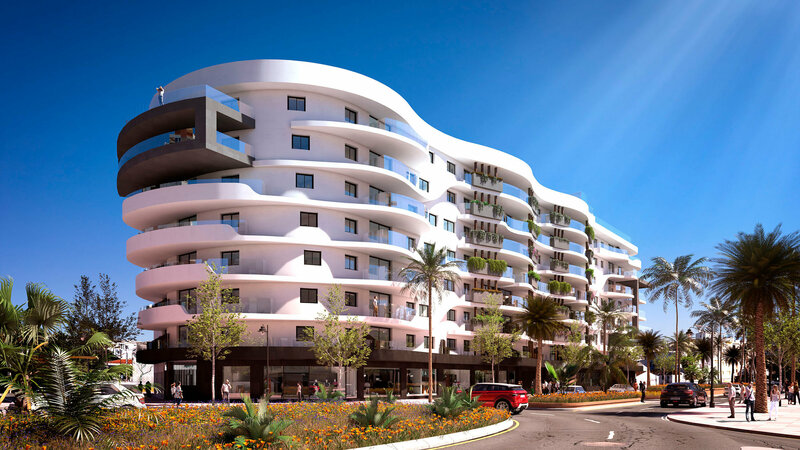 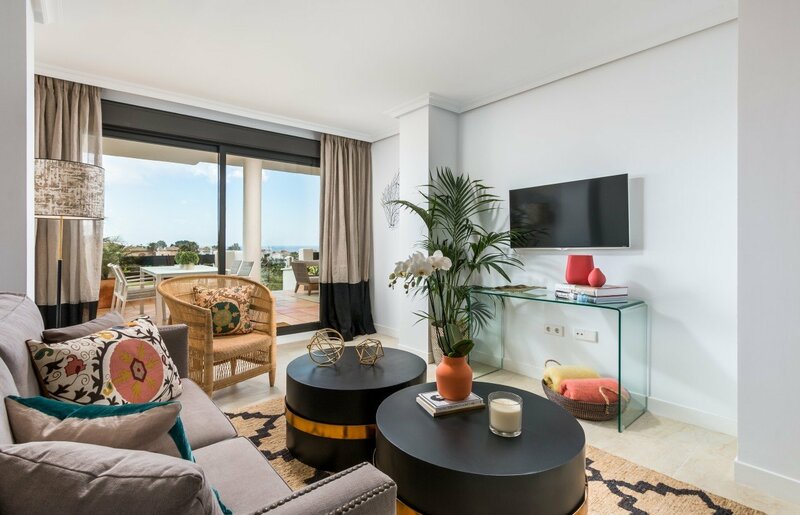 Enjoying a prestigious location right on the main avenue running through the heart of Estepona’s vibrant town centre, the landmark Residencial Infinity building comprises 112 luxury new build 2- & 3-bed apartments of stunning contemporary design. 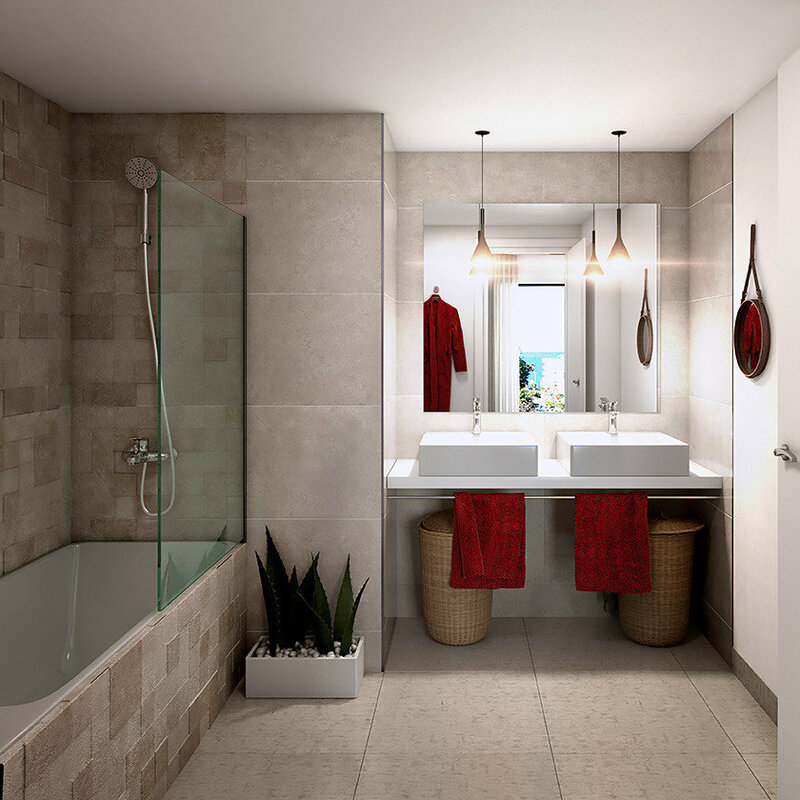 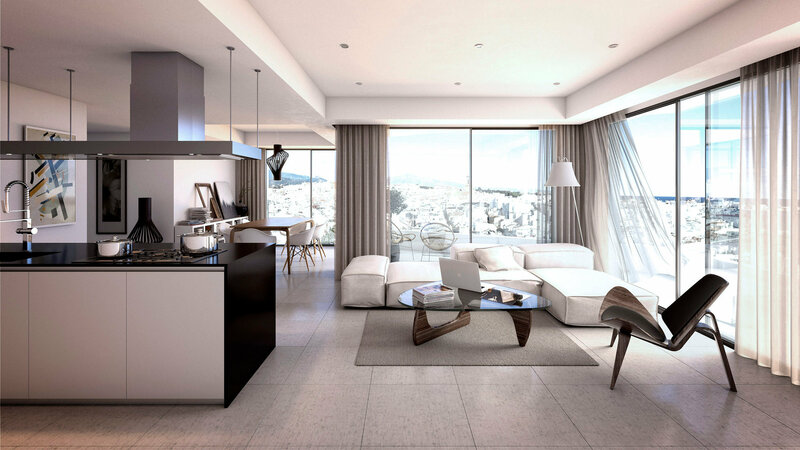 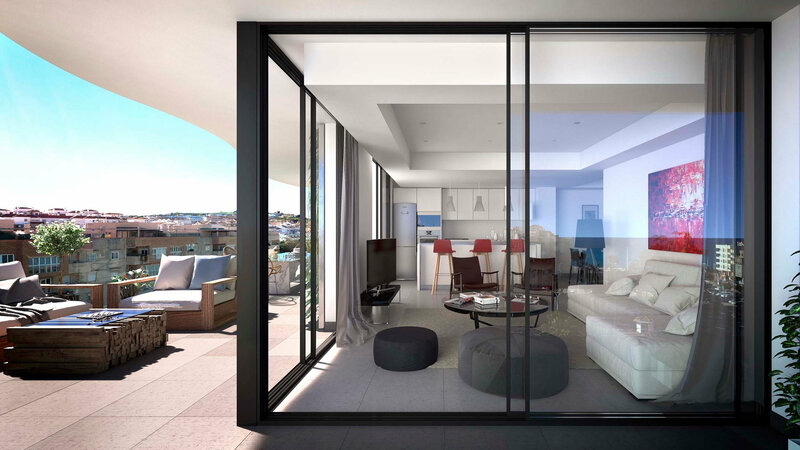 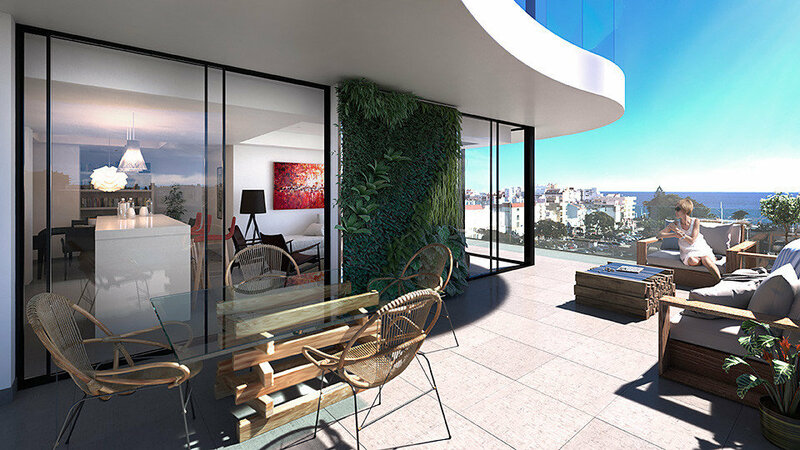 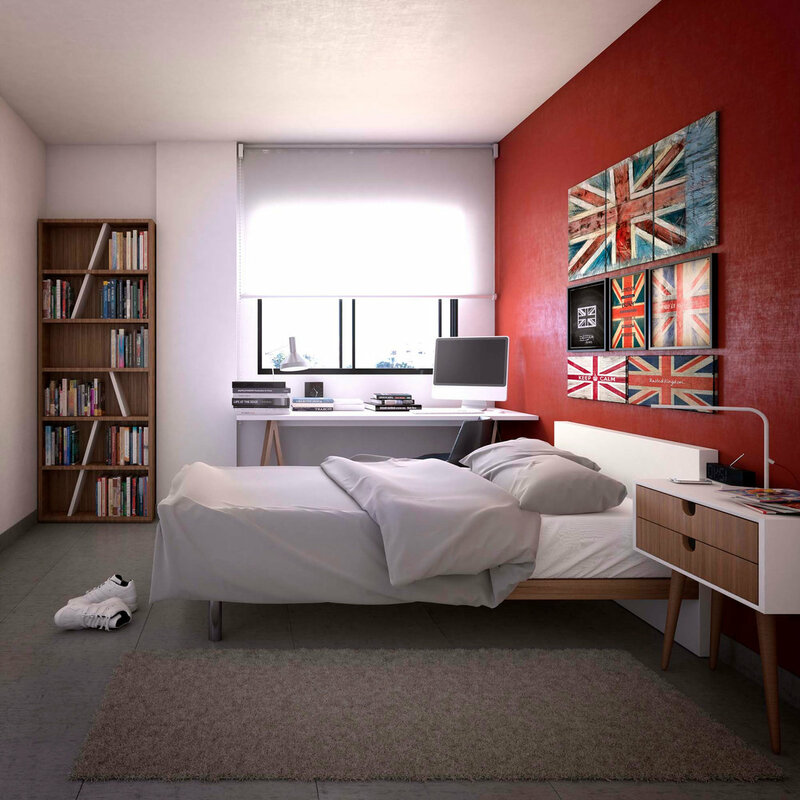 Spacious and flooded with natural light, each of the elegantly designed properties has its own private terrace – ranging in size from 7 to 42 square metres and with a choice of different orientations – as well as benefiting from private underground parking and storeroom. 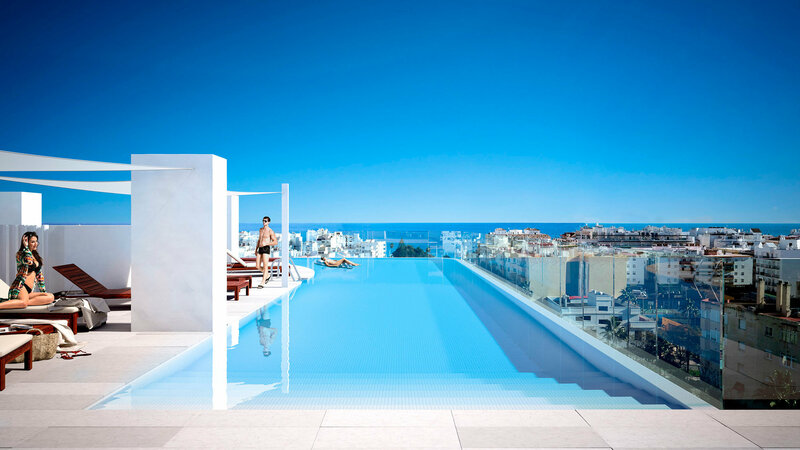 Combining signature contemporary design with top quality fixtures and fittings, Residencial Infinity’s fabulous onsite communal amenities include a huge rooftop terrace – featuring an absolutely stunning infinity pool, ample sunbathing deck and breath taking ocean views – as well as a fully-equipped gym with sauna, attractive garden areas, equipped multiuse social room, children’s area and a bicycle room, too. 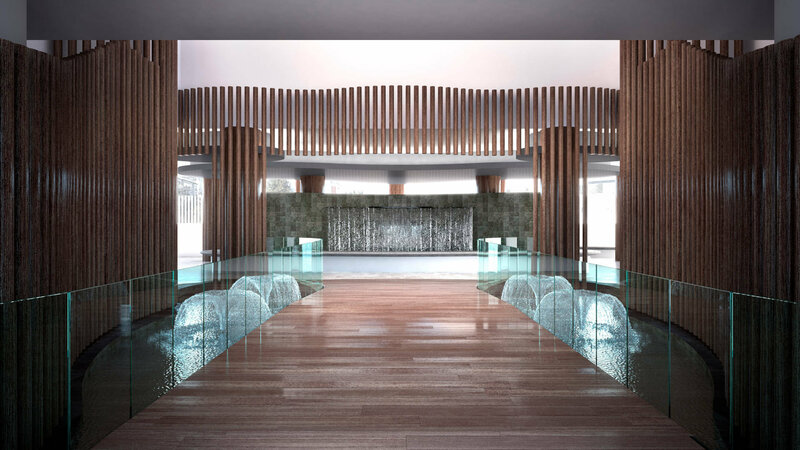 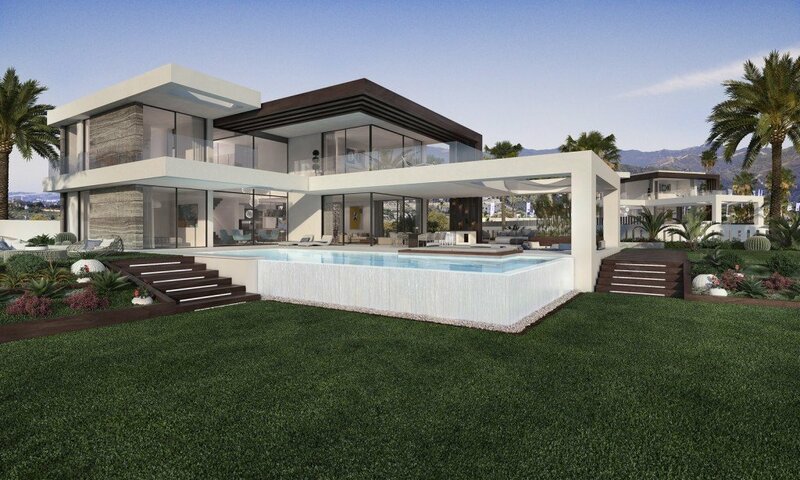 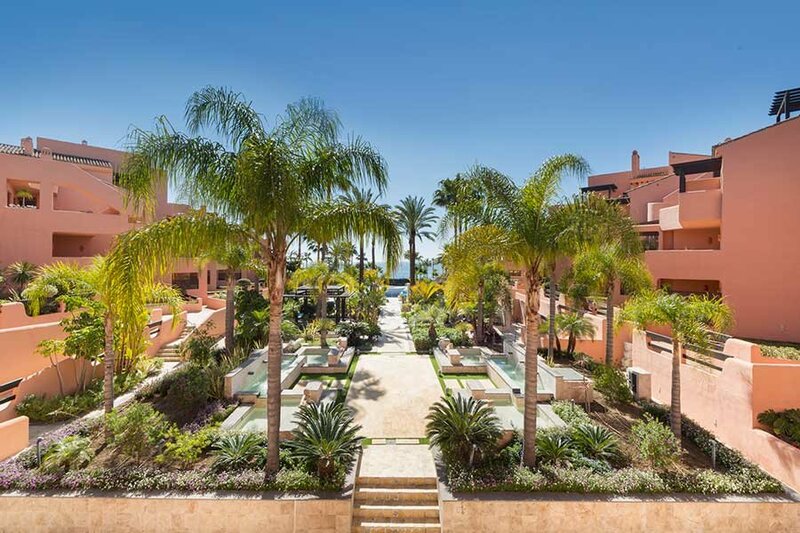 In addition to having Estepona’s countless, first-class amenities and services virtually on the doorstep, Residencial Infinity is also less than a 4-minute walk to the sought-after resort’s sun drenched, Blue Flag award-winning beaches gently lapped by the limpid blue waters of the Mediterranean Sea.